As of December 6, approximately 1,575 water sources in 71 DeKalb County School District (DCSD) schools have been examined as part of the district’s Lead-In-Water Testing efforts. Results for 63 of the schools tested have been received. Approximately 1,518, or 96 percent, of those sources have lead content of zero or below Environmental Protection Agency (EPA) standards. 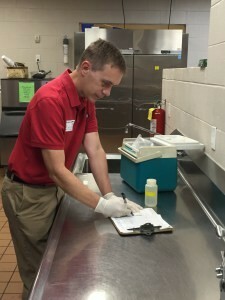 Since testing began on September 20, DCSD and its partner, Atlanta Environmental Management (AEM), have tested water dispensed from sinks, water fountains, ice machines, and other individual sources at schools and facilities. In total at the campuses tested through December 6, just 57 water sources exceeded federal safety standards. In each case, the sink, water fountain, or other source was turned off and efforts to make the necessary repairs were made. Once complete, water from those sources will be tested to ensure the quality is within federal standards. Testing will continue for the remaining campuses through summer 2017. To view the full testing schedule, visit the district’s Lead-In-Water webpage.